At Kalamazoo College, parents and families of our students are important members of our campus community. You’ve shared your most valuable resource with us – your student. We invite you to enhance your involvement in the life of the College by considering a gift to Kalamazoo College. Parent and family gifts provide immediate, positive impact for scholarships that guarantee a transformative educational experience for your child, exceptional faculty focused on your student’s success and support the College’s greatest needs. When parents and families give to the College through the Kalamazoo College Fund, you enhance the experience of all K students, including your own. Reinforce your student’s decision to pursue a Kalamazoo College degree and your family’s educational investment with a gift today. Gifts from parents enhance the educational experience of all K students. Invitations to special events throughout the academic year, including a wine and cheese reception on Saturday, October 20, 2018, during Homecoming. Reserved seating for seniors’ parents and family members at the Commencement ceremony and other special Commencement Weekend events, June 15-16, 2019. Recognition in Kalamazoo College publications, including the Donor Honor Roll. To join the President’s Parents Leadership Circle, make your $500 gift to Kalamazoo College online. Monthly on-line credit card gifts are a convenient way to stretch your leadership giving throughout the year. To discuss your giving preferences, please contact Laurel Palmer at 269.337.7282 to set up monthly giving. 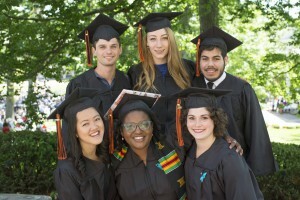 Celebrate your Senior’s achievements with a gift to Kalamazoo College. Please join fellow parents and families in recognizing the Class of 2019 by making a gift in honor of your senior. 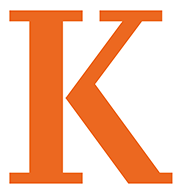 Such generosity will immediately benefit Kalamazoo College students just as the impact of gifts from alumni, parents, and friends of K benefited your students experience. You will find an Honor My Senior reply card and envelope in your March 2019 Commencement information mailing. You may also make a gift online in honor of your senior. 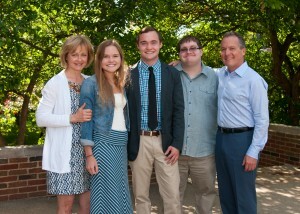 Thank you for considering a gift to Kalamazoo College and congratulations on the achievements of your senior. Commencement is on Sunday, June 16, 2019. Visit Commencement for additional information about this special weekend. Why Give a Gift beyond Tuition? Tuition at Kalamazoo College, as at most colleges, does not reflect the entire cost of educating students. The Kalamazoo College Fund is relied on each year to help close the gap between what parents and families pay and what it actually costs to educate your students. You have a vested interest, wanting your student to have access to the best resources and experiences, and to be challenged by their student peers. Your gift through the Kalamazoo College Fund allows the College to provide exceptional educational opportunities and learning experiences to every K student. Please contact Laurel Palmer, Director, Kalamazoo College Fund at 269.337.7282 or parentandfamily@kzoo.edu. To find out if your employer has a matching gift program, search our Matching Gift Company database. Visit Kalamazoo College Parents and Families for additional information.